In 1989, Carol published The Bookmobile Songbook. The dedication states: "This book is dedicated to: The Road Warriors who daily start their engines and sally forth from public libraries everywhere to raise the library flag on new beachheads, and to Bernard Vavrek the only Library School Professor in America who cares about them." She sought to share wisdom so that the profession would continue to grow. 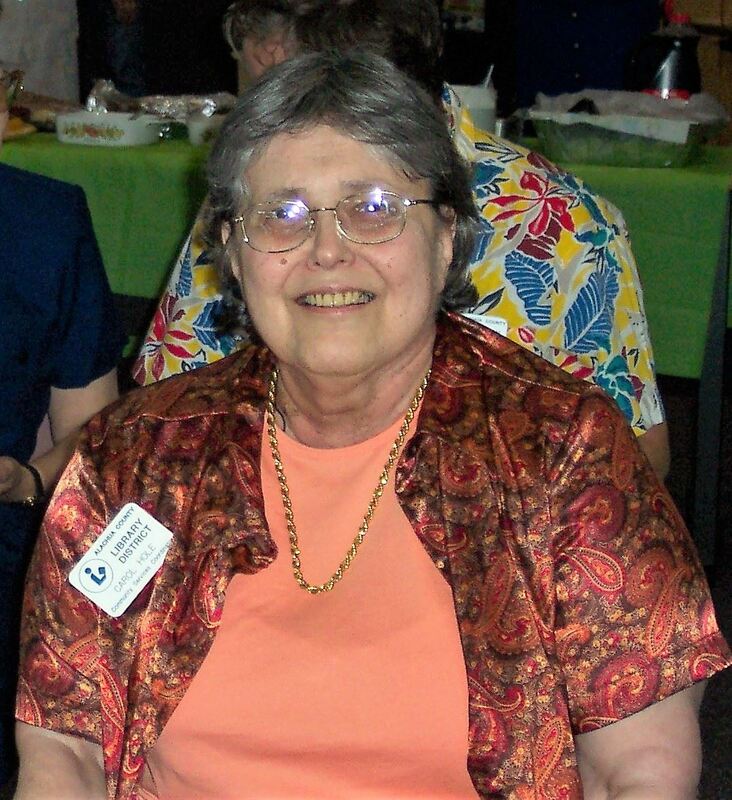 She retired from distinguished service to the Alachua County Library District on March 1, 2006 and died on October 1, 2007. The six (6) $500 travel awards include free conference registration and a stipend for his/her travel expenses and/or accommodations for the conference. The winners automatically will be registered for the conference. · The applicant must be employed in a public library, working in bookmobile or outreach services at the time the application is submitted. · The completed application form and attached narrative must be received prior to the deadline printed on the form. · The award winner is not eligible to apply for the award again for five years. · The applicant does not need to be a member of the Association of Bookmobile and Outreach Services. 2019 Applications for the Carol Hole Conference Attendance Awards are now being accepted!